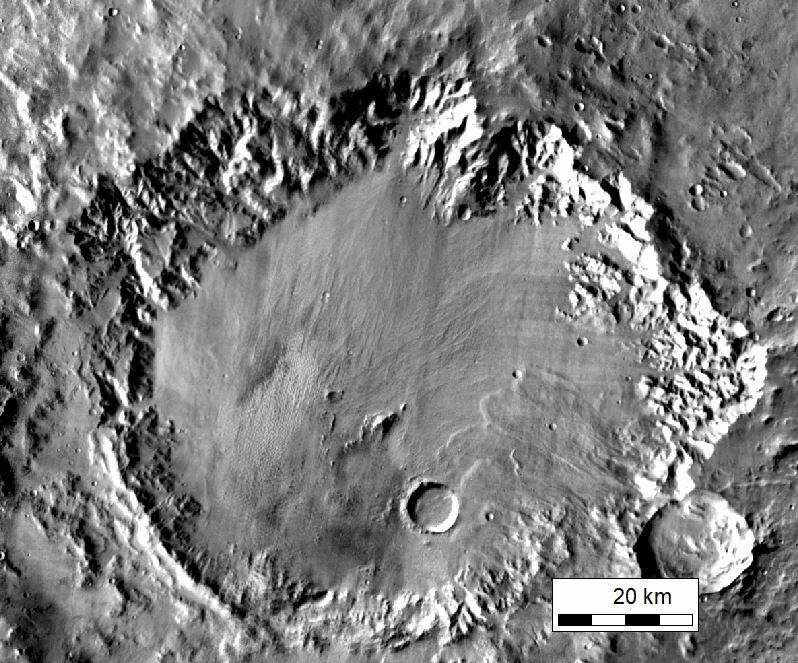 The Mars sessions at the Lunar and Planetary Science Conference (LPSC) are both plentiful and complex, covering a variety of topics in martian history from its beginnings to the present day. Here I'll break down just one of these sessions: "Early Mars Surface Processes: Alluvial Fans and Paleolakes," a mini-session early Tuesday afternoon that engaged martian geomorphologists in a discussion on the ways in which we currently understand early martian climatic and geologic history through preserved fluvial features. This session of LPSC focused on, as the name implies, the variety of alluvial fans and paleolakes that cover the martian surface. In terms of fluvial features, the southern highlands of Mars are most known for hosting riverlike valley networks, the telltale sign of flowing liquid water billions of years ago. However, Mars also possesses a number of other geologic features associated with the flow of liquid water that allow martian geomorphologists to explore the possibility of a much more complex martian hydrologic history. 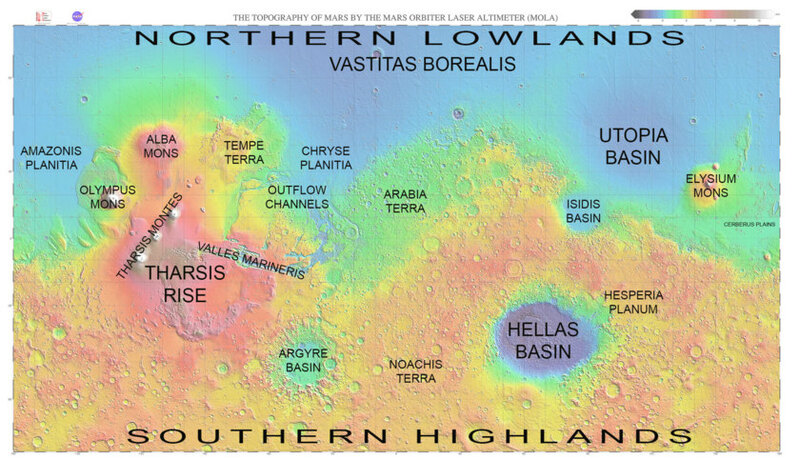 Widely held views of Mars' geologic and climatic history in the community state that most of the fluvial activity on the martian surface was concentrated in the Noachian (over 3.7 billion years ago), with very limited fluvial activity in the later Hesperian and Amazonian epochs. In these later periods, chances for the stability of liquid water on the surface became few and far between as Mars transitioned to the hyperarid, hypothermal desert we observe today. However, this session demonstrated the growing inventory of fluvial landforms that formed during and after Noachian – thus, indicating later episodes of aqueous activity. These features have been recently identified in the higher resolution image data sent back from the Mars Reconnaissance Orbiter, and a flurry of mapping has followed; as Alex Morgan said in his talk, "mapping a landform's distribution is the first step in understanding its formation." In this session, we explored the findings of these mapping efforts and other associated investigations. 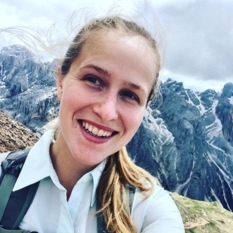 The first two talks, by Sharon Wilson and Alex Morgan, focused on the formation of alluvial fans, which represent fluvially eroded sediment deposited at a slope break; on earth, these occur at the edges of mountain ranges and hills. Most fan deposits on Mars are located at the slope break formed by the intersection of crater walls and crater floors. While their depositional mechanisms are quite different, alluvial fans align with deltas in that they require water to transport and deposit sediment, and are thus also indicative of regional fluvial activity. Wilson performed detailed mapping of the large, well-exposed alluvial fans in Roddy Crater to determine the age and sequence of their development as well as possible sources of the water that assisted in their formation. Such in-depth investigations are crucial, as alluvial fan deposition remains a complex process and often occurs in multiple stages. Wilson found that fan morphology varies across the crater, and that a long interval may have passed between initial crater formation and formation of the alluvial fans, suggesting these fans formed in association with fluvial activity in the early Hesperian or later. Morgan's work complimented this in-depth study, as his global survey of fan-shaped deposits on the martian surface found that alluvial fans are far more widespread than previously identified and possess consistently young ages. The mechanism for generating the water needed to create these features across the martian surface, however, remains up for debate: was it ice melting, groundwater seepage, or snow-based surface runoff? While precipitation (snow) may be the most likely source, exploration and further documentation of alluvial fans must continue in order to untangle their origin. Another crucial aspect of the martian hydrologic cycle is the formation and preservation of lakes. In his presentation, Joel Davis identified 70 possible paleolakes within the Arabia Terra plateau, a low-lying area on the edge of the southern highlands. Some of these paleolakes are inverted, preserved in positive relief due to extensive infilling of basins, most of which were likely impact craters. The existence of these lakes is significant, as is their inversion; their presence suggests that much more widespread fluvial activity took place in Arabia Terra than was previously thought, which in turn may have implications for the early martian climate. The next step is to understand the inversion process, as the two possibilities suggested by Davis have different climatic implications: lake and floodplain material may have filled the crater, but regionally-sourced mantling deposits, seen elsewhere in Arabia Terra, may have accumulated instead, or some combination of the two. Understanding the amount of lake sediment contained in these inverted channels is crucial to understanding the long-term stability of water, but higher-resolution information will be needed. Tim Goudge followed the discussion of lake inversion with an exploration of how outlet canyons form in open-basin lakes. Paleolakes on Mars typically come in two flavors: closed-basin lakes, which possess a clear inlet channel, and open-basin lakes, which also possess a clear outlet channel (also referred to as an outlet canyon). Because these lakes predominately form in craters, which are by nature topographically enclosed, formation of an outlet channel requires that lake water pond in the crater up to the level of the rim crest, where it overflows, incising the crater rim in the process. In his survey of 24 open-basin lakes, Goudge studied the outlet canyon formation process through calculations of canyon depth and volumes of water drained from these paleolakes. This survey found that long-term outflow of water from the lake is not required to explain the size of the outlet channels; instead, only the initial basin overflow is needed. This is a profound result, as it suggests that catastrophic overflow floods may have been a more important hydrologic process on early Mars than many of us have thought. Because open-basin lakes dominate the paleolake record, the possible frequency of local flood events on the martian surface represents a new and interesting problem. The formation and locations of paleolakes remains an area of new and innovative thought. Additional talks in this session showcased work by Emileigh Shoemaker, who performed preliminary investigations of lakes using SHARAD, the radar sounder on the Mars Reconnaissance Orbiter, as another investigative tool to understand the upper subsurface of these features, while Samantha Peel considered the possible formation mechanisms that could drive lake formation in central pit craters. The range of tools at our disposal to understand these features is diverse, and work is ongoing. Overall, this session illustrates the crucial influence that later geologic activity has likely had in the martian geologic record. We typically view Mars as a planet where most geologic processes ceased after the Noachian; however, this new work shows that in many locations on the planet such a statement belies a more complicated geologic history. Mars may have been more hydrologically active in more ways than we thought, and such processes may have operated much later in the record than our current understanding of martian climate evolution indicates. To understand more about these features and the investigations performed, check out the abstracts from this session here. Hi Adeene, Thanks for the nice article and adding the abstracts also. Those gave interesting explanations, theories.